1. 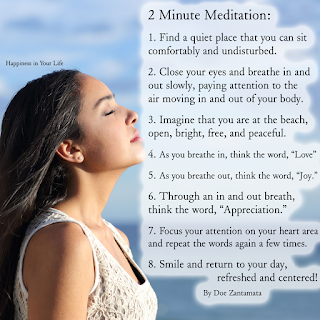 Find a quiet place that you can sit comfortably and undisturbed. 2. 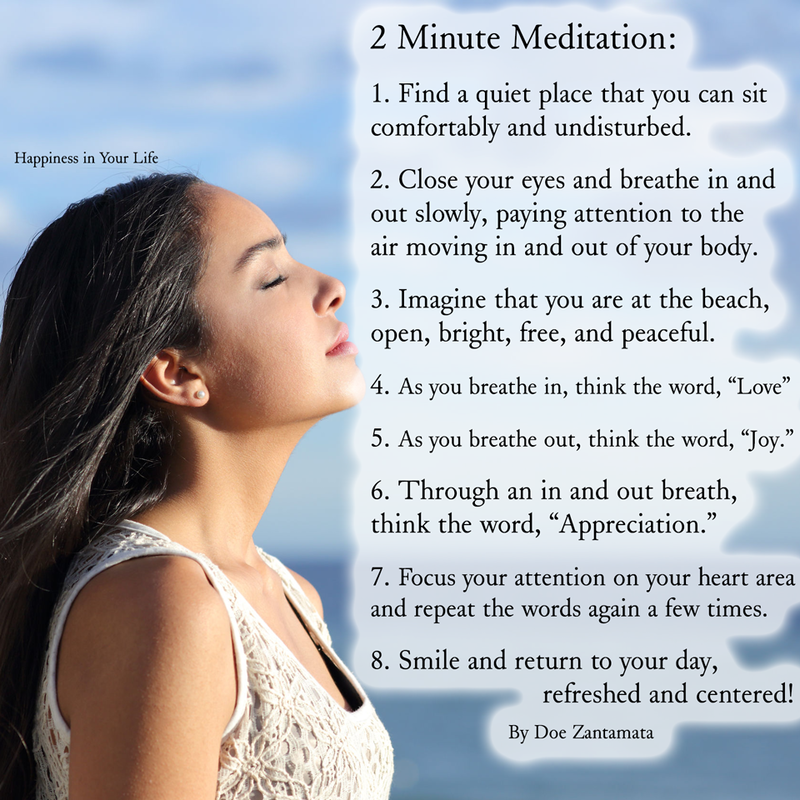 Close your eyes and breathe in and out slowly, paying attention to the air moving in and out of your body. 3. Imagine that you are at the beach, open, bright, free, and peaceful. 7. Focus your attention on your heart area and repeat the words again a few times. 8. Smile and return to your day, refreshed and centered!